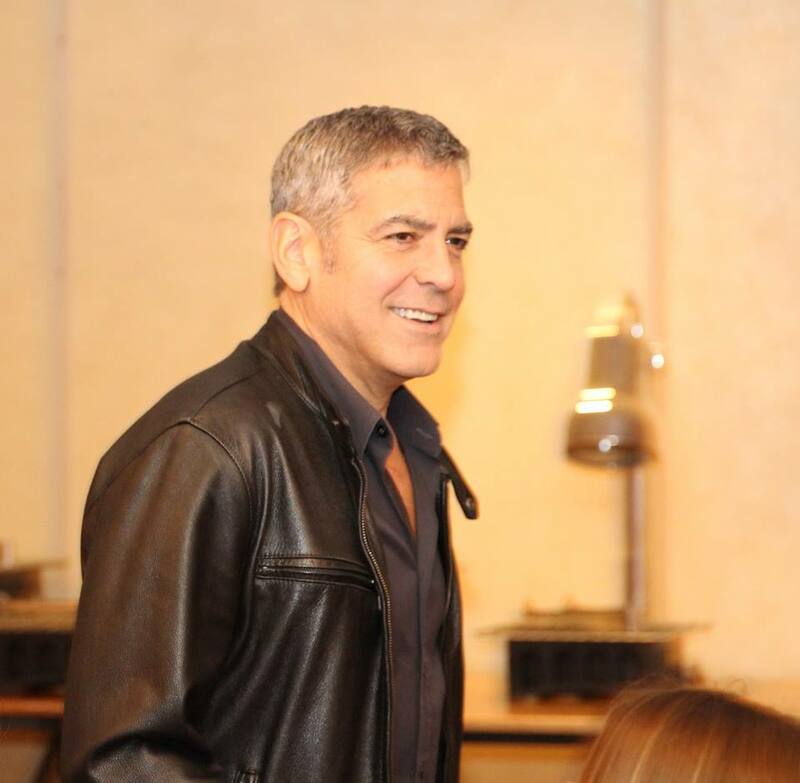 Gayle Chats with George Clooney – Yes! That George Clooney! The anticipation of knowing that in just a few moments, THE George Clooney would be walking through the doors and sitting down literally right next to me, well let’s just say I think I remembered to breathe, but I couldn’t say for certain. But the moment he walked into the room, it was no longer about interviewing Mr. George Clooney, but rather just talking to George-the long time friend that everyone has, that immediately puts you at ease, that has you laughing, listening and thinking all at the same time but more importantly, he is listening to you as well. So just how does an actor that we’ve come to love as a doctor and as a thief or even a superhero in everything from action, comedy and romance find themselves finally working with Disney again after all of these years? As he continued to explain what first drew him to the project, Clooney went on to share some of his own personal views on life and living in the world we have today. 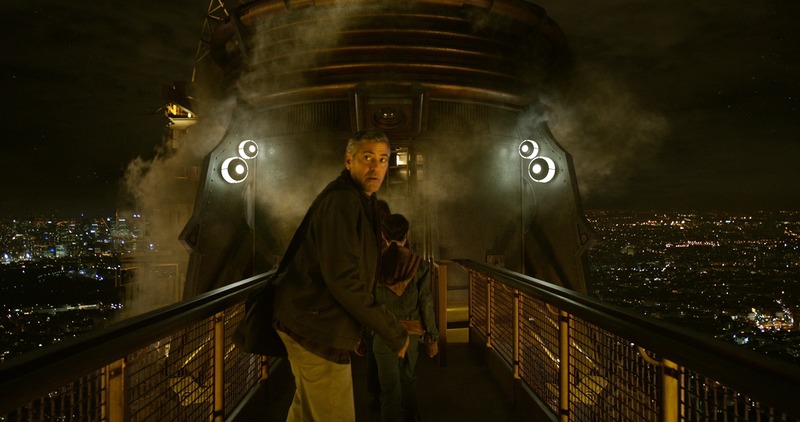 Clooney went on to share how growing up in the sixties shaped his own outlook on life, and how it made him even more connected to the ideas and possibilities that Tomorrowland brings to the forefront. “When I was growing up I was a part of the space race era-it was all we could think of. We were eating space food sticks and drinking Tang. Everything had to do with rockets and the Jetsons and everything that went with it. Science fairs were the biggest things in the world to be a part of and I did all of that. I grew up in the era where an individual actually had an effect whether it was as part of the civil rights movement, or the Vietnam movement, or the women’s rights moments and all the other things where people showed that change could indeed occur. If you turn on the television there’s an awful lot of doom and gloom out there It feels like that’s what the world really is but your future doesn’t have to be this. Just as in the movie, you have the ability to make a difference but it’s up to you to become a participant in your own future. You could see the pure, unbridled delight when George talked about the opportunity to work with the special effects involved in bringing the vision of this futuristic world to life. The admiration and respect Clooney felt for Britt Robertson, Raffey Cassidy, and Thomas Robinson were apparent when he talked about his younger co-stars. 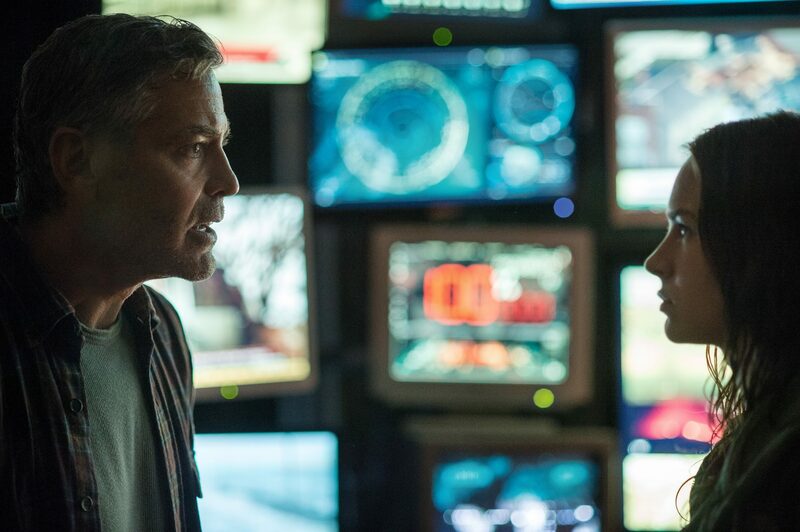 What is the one message that Clooney hopes people will come away with from Tomorrowland? 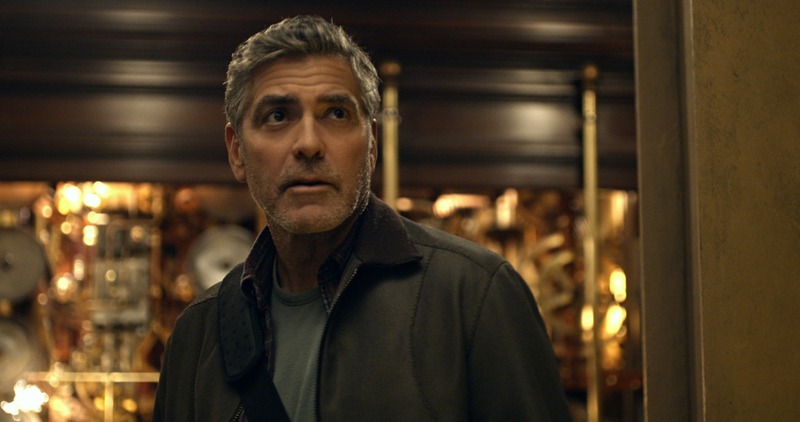 Want to know more from my conversation with George Clooney and just what did go on behind the scenes during the filming of “Tomorrowland”? What was the most difficult scene to film? What was the most fun and what, if any pranks were played on his unsuspecting cast mates? Stay tuned next week for part 2 of my interview with the one and only, George Clooney. 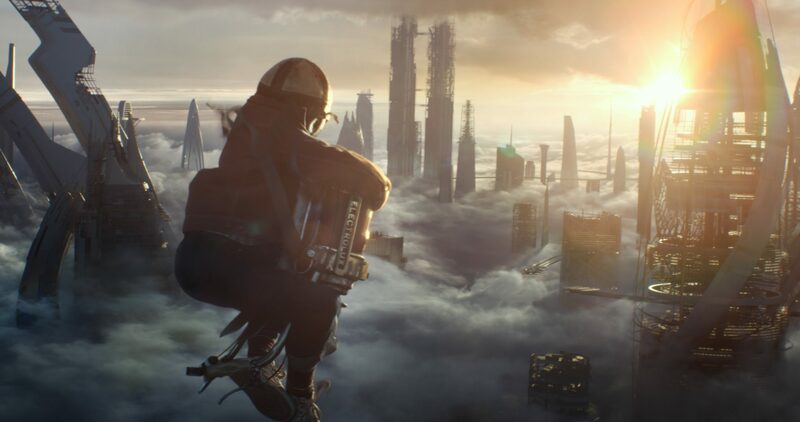 Want to learn more about Tomorrowland ? I have been invited by Disney to cover the #TomorrowlandEvent. All expenses have been paid for by Disney but all opinions my own.